A Site Signin App, is the modern way to sign in and out staff, contractors, visitors and other employee types into the workplace. It's important to track who is on site and in the building in the event of an emergency as well as to conduct a compliance check as people sign in to make sure they are inducted and acknowledge and understand important safety policies and procedures. 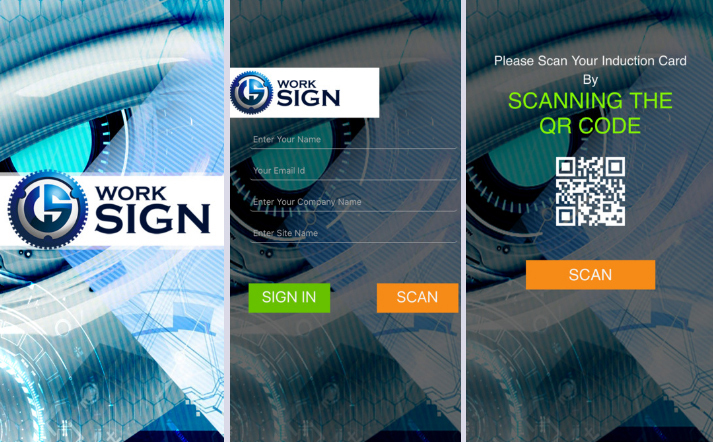 You're thinking about setting up a workplace signin app for signing in and out staff, contractors, visitors or other employee types. Where to start? What to consider? what sort of setup should you put in place? and what sort of technology is best to setup? Lets walk through each one step by step below! Where and how to start signing in staff on site? It all starts with using the app to sign in staff as they arrive on site. What kind of entry point do your staff pass through at site / in the workplace? is there a reception area? a muster point? a gatehouse entry? You'll need to establish how staff are coming in on site and how you want them to signin using the app. Signin App on Tablet or Wall Mounted Computer? Which one is your preference? Do you want them to walk up to a tablet and sign in that way or would you prefer a more interactive larger experience on a wall mounted monitor? Are they doing a visitor / contractor induction first? Do you need to capture their photo? Do they need to print a card or sticker? What do you need to capture as part of them working on site? evidence of training? certifications? insurances? What policies and procedures do they need to acknowledge? Do you need it to alert staff on site that someone has just checked in and are waiting for them? Do you need to collect emergency contact details? If you want to issue a sticker to your staff, this can be easily printed from a wireless printer connected to the iPad or Tablet device. The staff member or contractor signs in and upon completion, gets issued a sticker. This might be done at the end of a short induction and capturing their photo as well. Likewise a card could be issued via an Online Induction before they arrive on site and the staff member or contractor simply brings the card with them and scans it for reoccurring visit to sign in on site.